I should quantify this from the off and say i am NOT a running coach. I am a Sports Therapist, specialising in recovery (www.dc-injuryclinic.co.uk/recovery), who happens to also be someone who runs. This is not a “how to run” blog, this is a “how I (physiologically) run” blog! Earlier this year I spent some time at Team Bath, part of the University of Bath(http://www.teambath.com/physio-sport-science/physiological-fitness-testing/), as part of my professional development. Whilst there I spent time with the brilliant Applied Sports Scientists discussing – and undertaking – different physiological tests. These included Isokinetic Muscle Testing (muscle strength), Spirometry Testing (lung function), and VO2 Max and Lactate Threshold Testing which is what I am going to focus on here. Lactate Threshold is a little more complex; we all have a unique level where we can continue exercising for an extended period of time without having to slow down. As long as you maintain this effort level (your Maximal Lactate Steady State), your lactate level will remain constant. As effort increases above this point your lactate level will rise, and you will be forced to stop. Essentially, above your maximal lactate steady state it is an inevitable progression to exhaustion. So, under the guidance of Jonathan Robertson, I jumped on the treadmil, popped on the oxygen mask, had a dab of blood taken, and off we went. And there I stayed for as long as I could run. Every 3 minutes I jumped off for just about long enough for another drop of blood to be tested, and as I jumped back on the speed increased. I cant say it was easy! I’m going to avoid going into my specific results (VO2 Max, Lactate Threshold, Max HR, although these are all provided in your own personalised report), but the overall findings were very interesting. Due to my previous life as a footballer, my anaerobic fitness (short, sharp activity) was quite substantially over-developed, whilst my aerobic fitness (endurance) was equally under-developed. Not ideal for someone who now enters a few Half-Marathons a year! Now, one of the first blogs I published on here recounted the tale of my poorly shins (www.dc-injuryclinic.co.uk/shinsplints). Shin pain is something that has never gone away, and something that I have learnt to manage meaning that I simply cannot put the time in on the road that someone else may be able to. The consequence of the quite limited number of miles I can safely do at present (approx 40 miles a month) mean that I found myself in a habit of doing primarily what a coach may call Tempo Running (http://www.runnersworld.com/tag/tempo-run), which – i now realise – has probably exacerbated the issue. For me, going forwards, I can now see in black and white that to progress I need to develop my aerobic fitness. I have specific – and unique to me – training Heart Rate Zones to concentrate on, and i’m strangely looking forward to some long, slow runs to see how much of a difference this might make. This could be the complete oppostite for you! For anyone that consistently enters endurance events, I strongly recommend going through the process – the one concern people bring up is if this is only for “elite” athletes, and I can safely say it most definitely is not (I am far, far, far from elite). I should say that VO2 Max and LTT are only 2 ‘markers’ of fitness, and there are great debates about other variables, which I will go into at a later date. 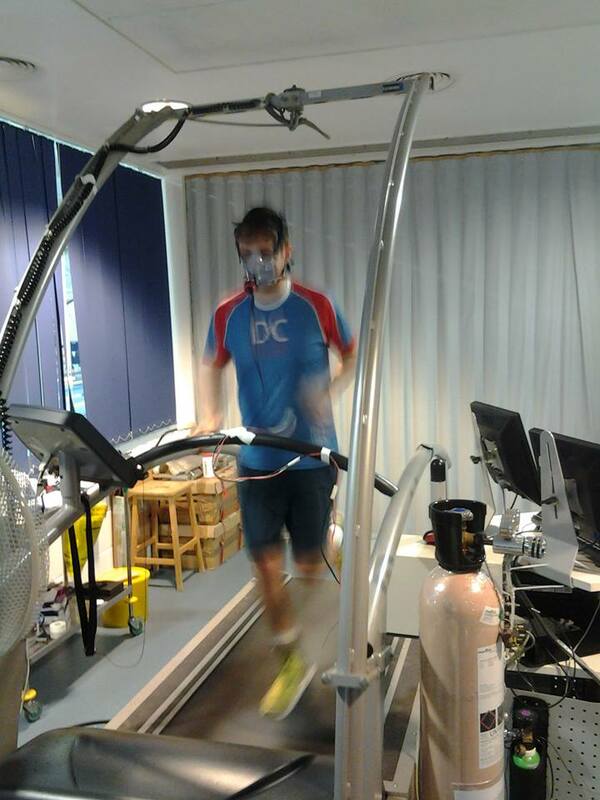 For more details on Physiological and Fitness testing, contact Jonathan Robertson at Team Bath on j.b.robinson@bath.ac.uk. N.B. There are no ‘one size fits all’ style quick fixes in most injury scenarios, so these article shouldnt be seen as such. They are merely guides to a better understanding of how our bodies work. This entry was posted in Uncategorized on 16th October 2014 by DCInjuryClinic.